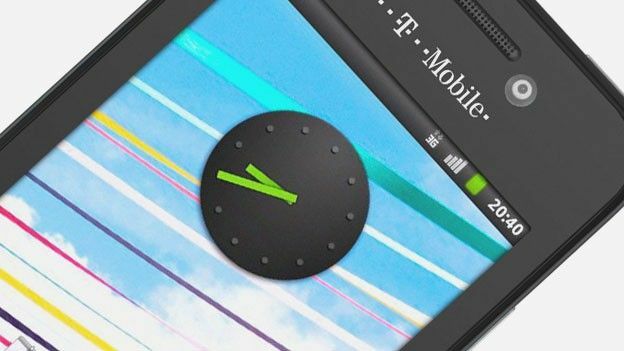 Smartphone retailer come network provider T-Mobile has announced the first all inclusive mobile tariffs with the company's new 'Full Monty' plan seeing consumers offered unlimited calls, texts and data limits. Available on a selection of price plans the new Full Monty offering has been introduced to counteract the current trend of highly priced data allowances and call packages, recognising the increased mobile internet usage brought on by the recent rise of smartphones. “Over the past two years, we've seen a rise in mobile internet use of over 250 per cent, which reflects the consumer trend of being 'always on' wherever they are,” said Ben Fritsch, Head of Propositions with T-Mobile UK. He added that “consumers also still want to retain a more personal level of communication by calling or sending a text. “The Full Monty has been designed for customers who want the peace of mind that there are absolutely no limits placed on their allowances, whilst also knowing they're getting market leading value for money. We believe our Pay Monthly portfolio offers plans to suit anyone's needs, all at accessible prices – and we're really proud to be the first to offer a plan like The Full Monty in the UK”. Kicking off with a £36 per month tariff that will be available with a free Samsung Galaxy S II or HTC Sensation XE wannabe users of the Full Monty plan offered unlimited text, unlimited data allowances with no fair use limits, unlimited T-Mobile to T-Mobile calls and unlimited texts. Still with some limitations, however, the £36 Full Monty plan comes with just 2,000 cross network minutes. Adding unlimited cross network calls, the Full Monty plan is also available on £41, £46 and £61 per month deals with the difference being the range of handsets available free of charge. Does the Full Monty plan have you tempted into plumping for an unlimited array of connectivity or are you satisfied with your current usage limits? Let us know via the comments box below.